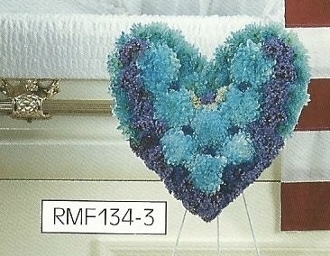 In this Purple Heart funeral flower arrangement with blue pom pom mums, china mums, sea foam statice and rice flower. Each piece is a handmade flower arrangement. Made with care by our dedicated florist who specializes in funeral flowers.